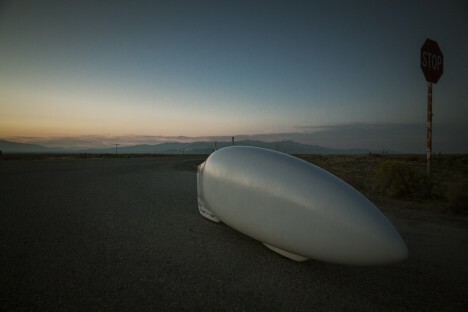 Looking like some kind of next-generation kayak, the Eta speedbike with pilot Todd Reichert now holds the global record for fastest human-powered vehicle. 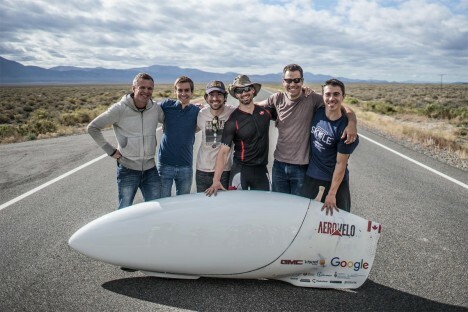 He and the team of AeroVelo competed in the World Human Powered Speed Challenge, where serious cyclists tuck in and try to beat previous records. They ramp up over 5 miles before hitting a stretch of ultra-flat pavement for 600 feet – the key strip of road is repaved each year to make it as smooth and level as possible. See more in Bikes & Cycles or under Transportation. December, 2016.